Update June 09, 2015: edge scrolling for clickpads has been merged. Will be availble in libinput 0.20. Consider the rest of this post obsolete. libinput supports edge scrolling since version 0.7.0. Whoops, how does the post title go with this statement? Well, libinput supports edge scrolling, but only on some devices and chances are your touchpad won't be one of them. Bug 89381 is the reference bug here. First, what is edge scrolling? As the libinput documentation illustrates, it is scrolling triggered by finger movement within specific regions of the touchpad - the left and bottom edges for vertical and horizontal scrolling, respectively. This is in contrast to two-finger scrolling, triggered by a two-finger movement, anywhere on the touchpad. synaptics had edge scrolling since at least 2002, the earliest commit in the repo. Back then we didn't have multitouch-capable touchpads, these days they're the default and you'd be struggling to find one that doesn't support at least two fingers. But back then edge-scrolling was the default, and touchpads even had the markings for those scroll edges painted on. libinput adds a whole bunch of features to the touchpad driver, but those features make it hard to support edge scrolling. First, libinput has quite smart software button support. 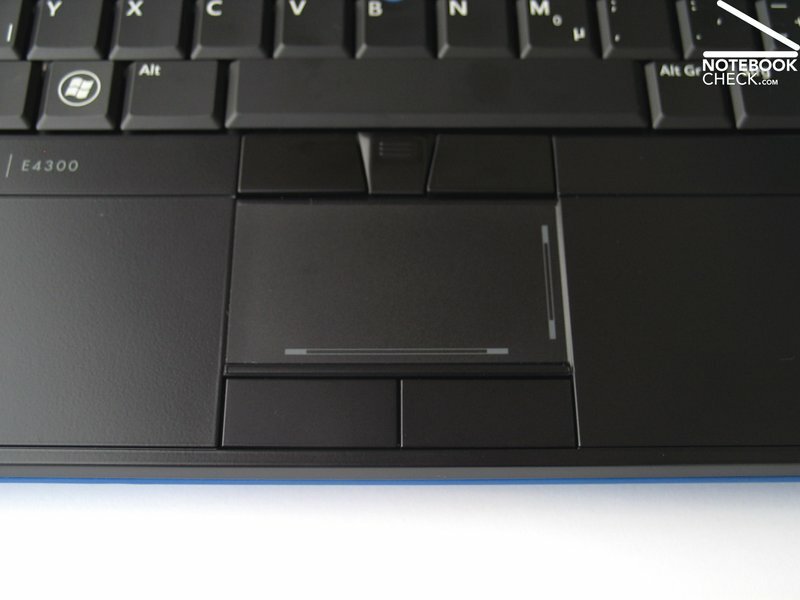 Those buttons are usually on the lowest ~10mm of the touchpad. Depending on finger movement and position libinput will send a right button click, movement will be ignored, etc. You can leave one finger in the button area while using another finger on the touchpad to move the pointer. You can press both left and right areas for a middle click. And so on. On many touchpads the vertical travel/physical resistance is enough to trigger a movement every time you click the button, just by your finger's logical center moving. libinput also has multi-direction scroll support. Traditionally we only sent one scroll event for vertical/horizontal at a time, even going as far as locking the scroll direction. libinput changes this and only requires a initial threshold to start scrolling, after that the caller will get both horizontal and vertical scroll information. The reason is simple: it's context-dependent when horizontal scrolling should be used, so a global toggle to disable doesn't make sense. And libinput's scroll coordinates are much more fine-grained too, which is particularly useful for natural scrolling where you'd expect the content to move with your fingers. Finally, libinput has smart palm detection. The large majority of palm touches are along the left and right edges of the touchpad and they're usually indistinguishable from finger presses (same pressure values for example). Without palm detection some laptops are unusable (e.g. the T440 series). Now, before you get too agitated: if edge scrolling is that important to you, invest the time you would otherwise spend sharpening pitchforks, lighting torches and painting picket signs into developing a model that allows us to do reliable edge scrolling in light of all the above, without breaking software buttons, maintaining palm detection. We'd be happy to consider it. This feature got merged for libinput 0.8 but I noticed I hadn't blogged about it. So belatedly, here is a short description of scroll sources in libinput. Scrolling is a fairly simple concept. You move the mouse wheel and the content moves down. Beyond that the details get quite nitty, possibly even gritty. On touchpads, scrolling is emulated through a custom finger movement (e.g. two-finger scrolling). A mouse wheel moves in discrete steps of (usually) 15 degrees, a touchpad's finger movement is continuous (within the device physical resolution). Another scroll method is implemented for the pointing stick: holding the middle button down while moving the stick will generate scroll events. Like touchpad scroll events, these events are continuous. I'll ignore natural scrolling in this post because it just inverts the scroll direction. Kinetic scrolling ("fling scrolling") is a comparatively recent feature: when you lift the finger, the final finger speed determines how long the software will keep emulating scroll events. In synaptics, this is done in the driver and causes all sorts of issues - the driver may keep sending scroll events even while you start typing. In libinput, there is no kinetic scrolling at all, what we have instead are scroll sources. Currently three sources are defined, wheel, finger and continuous. Wheel is obvious, it provides the physical value in degrees (see this post) and in discrete steps. The "finger" source is more interesting, it is the hint provided by libinput that the scroll event is caused by a finger movement on the device. This means that a) there are no discrete steps and b) libinput guarantees a terminating scroll event when the finger is lifted off the device. This enables the caller to implement kinetic scrolling: simply wait for the terminating event and then calculate the most recent speed. More importantly, because the kinetic scrolling implementation is pushed to the caller (who will push it to the client when the Wayland protocol for this is ready), kinetic scrolling can be implemented on a per-widget basis. Finally, the third source is "continuous". The only big difference to "finger" is that we can't guarantee that the terminating event is sent, simply because we don't know if it will happen. It depends on the implementation. For the caller this means: if you see a terminating scroll event you can use it as kinetic scroll information, otherwise just treat it normally. For both the finger and the continuous sources the scroll distance provided by libinput is equivalent to "pixels", i.e. the value that the relative motion of the device would otherwise send. This means the caller can interpret this depending on current context too. Long-term, this should make scrolling a much more precise and pleasant experience than the old X approach of "You've scrolled down by one click". The API documentation for all this is here: http://wayland.freedesktop.org/libinput/doc/latest/group__event__pointer.html, search for anything with "pointer_axis" in it.